The Liposuction 101 course director is Dr. Jeffrey Klein, the inventor of the Tumescent Liposuction Technique. 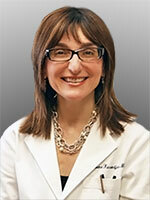 The other regular liposuction instructor is Dr. Norma Kassardjian who has worked with Dr. Klein since 1994. Both are board certified by the American Board of Dermatology. Jeffrey Klein, MD is a clinical faculty of Dermatology at the University of California, Irvine. The Capistrano Surgery Center (CSC) located in San Juan Capistrano California, has two operating rooms and is accredited by the American Association of Ambulatory Health Care (AAAHC). Dr. Klein re-defines liposuction surgery. Jeffrey Klein, MD is a dermatologic surgeon practicing in Newport Beach and San Juan Capistrano in Orange County, California. In addition to board certification by the American Boards of Dermatology, Internal Medicine, and Cosmetic Surgery, Dr. Klein has completed a National Institute of Health Research Fellowship in Clinical Pharmacology, as well as advanced degrees in mathematics and biostatistics. As a result of his scientific training, he was able to invent the technique for tumescent local anesthesia and tumescent liposuction totally by local anesthesia. Dr. Klein first described the tumescent technique for liposuction at a scientific meeting in 1986 and published his result in the Journal of the American Academy of Cosmetic Surgery in 1987. Prior to 1986, all liposuction surgeries were done under general anesthesia, were associated with significant surgical blood loss and prolonged post-operative recovery of two or more weeks. The advent of tumescent liposuction permitted liposuction to be done totally by local anesthesia with virtually no blood loss. Within a few years tumescent liposuction became the worldwide standard of care. If you go to www.google.com and search for Jeffrey Klein Liposuction you will encounter hundreds of thousands of listings. Countless surgeons from around the world have traveled to San Juan Capistrano to attend Dr. Klein’s tumescent liposuction course known as Liposuction 101. Although she performs a mix of medical and cosmetic dermatology, Dr. Norma’s expertise lies in Mohs Micrographic Surgery which is a precise technique for the removal of skin cancer followed by the cosmetic repair of the surgical would. She also specializes in Tumescent Liposuction and has performed thousands of surgeries to date.